Page load time of any web-page makes an impact in its search rankings. Google considers the website’s loading speed as a ranking factor and that is why it is important to Reduce Page Load Time and Speed Up Your Website we should work to reduce our website and blog loading time. The biggest factor contributing to your page speed? – It takes browsers time to download the resource code that makes up your page. page load time decides whether a visitor to your site will explore further or part their ways. This means that having a fast site is essential not just for ranking well with Google, but for keeping your bottom-line profits high. Visitors are the pillars of any successful blog. 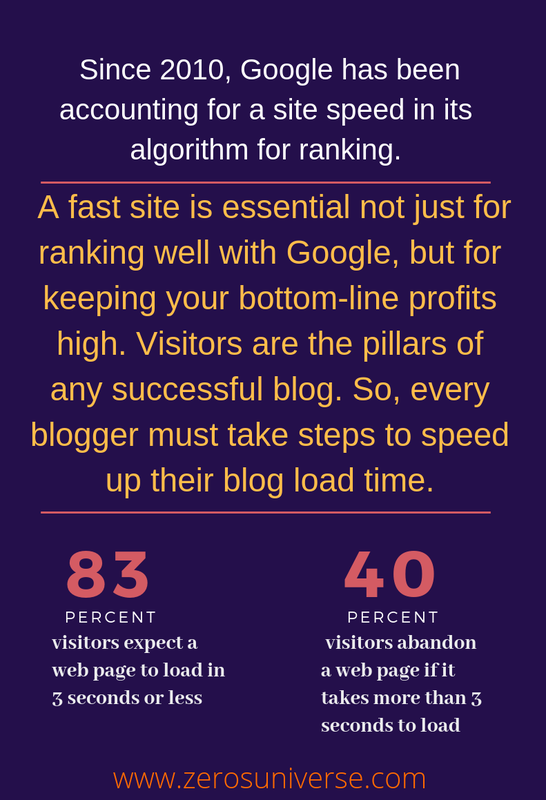 So, every blogger must take steps to speed up their blog load time. What is a good Page Load Time time? Before you start working on your site’s speed, it’s a good idea to set a goal for where you want it to be. That can be difficult if you aren’t sure what an acceptable page speed is. According to Google, the best practice is for three seconds. Unfortunately, according to its recent benchmark report findings, most sites are nowhere near that. In an analysis of 900,000 mobile ad landing pages spanning 126 countries, Google found that 70% of the pages analyzed took nearly seven seconds for the visual content above the fold to display. Of all the industries they included, none had an average even close to their recommended best practice of three seconds. In the above image, the file size is reduced by more than 70%. I have excellent eyesight but can’t spot the difference either! Use the optimized image to save bandwidth and loading time and your website visitors will thank you. Images are one of the most common bandwidth hogs on the web. The first way to optimize your images is to scale them appropriately. Many webmasters use huge images and then scale them down with CSS. What they don’t realize is that your browser still loads them at the full image size. For example, if you have an image that is 1000 x 1000 pixels, but you have scaled it down to 100 x 100 pixels, your browser must load ten times more than necessary. Scale your images before you upload them to your site, so you don’t ask for more from your visitors than you should. It makes sense to optimize and resize images to ensure quick loading time. Remember, high-resolution images are heavy and usually absorb more bandwidth and take longer to process. Smush it is a service from Yahoo that is used to compress images without losing the quality of the image. Tiny Png is the best tool to compress the images without the loss of quality. It reduces the number of colors, 24-bit PNG files can be converted to much smaller 8-bit indexed color images. All unnecessary metadata is stripped too. The result: better PNG files with 100% support for transparency. LazyLoad is the process of having only the images above the folded load (i.e. only the images visible in the visitor’s browser window), then, when reader scrolls down, the other images begin to load, just before they come into view. This will not only speed your page loads, but it can also save bandwidth by loading less data for users who don’t scroll all the way down on your pages. To do this automatically, install the jQuery Image Lazy Load plugin. WordPress users have an advantage over blogger blogs due to the fact there are millions of plugins which help them do things they can never imagine doing on blogger or WordPress.com blogs. But sometimes advantages can be the reason of one’s undoing. Disable unwanted plugins: Try uninstalling plugins like blogger importer (if you have ever imported your blog from blogger to WordPress you tend to have forgotten to uninstall this), All in one favicon (try uploading the favicon into the theme), too many social share plugins, Pinterest pin it plugin (you can use the Shareaholic plugin that has a pin it button for images by default). Use a single plugin doing the task that requires a bunch of plugins: Many of us use different plugins like one for sharing, one for creating a mobile version of our site and lots more. I suggest using the jetpack plugin to do them seamlessly. Another example is you can stop using separate analytics, sitemap and SEO plugins by using the Yoast plugin that has all these functions. The request is called an HTTP request. HTTP stands for Hypertext Transfer Protocol and basically the name for a browser sending a request for a file, and the server sending that file to the browser. Reduce the number of files. Another option to speed up your website is by limiting the number of files that load. This is because for every file you try to load, your browser sends a separate HTTP request to the server. Fewer files mean fewer requests and therefore your website load faster. Content Delivery Network is a system of distributed servers (network) that deliver web pages and other Web content to a user based on the geographic locations of the user. You may use a Content Delivery Network (CDN) such as Amazon CloudFront to reduce the page load time. Access to a faster server near your user’s geographical location ensures faster loading time for your mobile site. 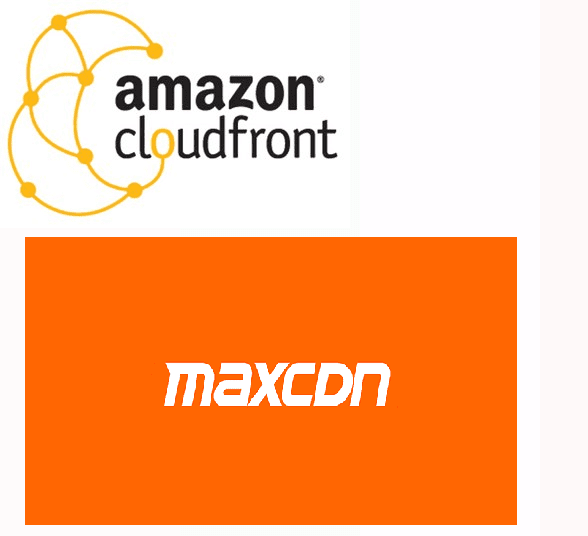 In terms of Free CDN solution, I trust CloudFlare the most but if you need more control and powerful features and ready to invest some money, I recommend using MaxCDN which is by far the best CDN in terms of cost and features. Why make visitors download the same things every time they load a page? Enabling browser caching lets you temporarily store some data on a visitors’ computer, so they don’t have to wait for it to load every time they visit your page. How long you store the data depends on their browser configuration and your server-side cache settings. One of the biggest factors in how quickly your page loads is the amount of time your DNS lookup takes. A DNS, or domain name system, is a server with a database of IP addresses and their associated hostnames. When a user types a URL into their browser, a DNS server is what translates that URL into the IP address that indicates its location online. A DNS lookup, then, is the process of a finding a specific DNS record. You can think of it as your computer looking up a number in a phone book. For example, let’s say you wanted to visit the URL ubnt.com. You’d type this into your browser but that means very little to your computer. Your ISP will perform a DNS lookup to find the IP address associated with that URL. Check how well your web pages are optimized with the CSS optimization test. You can also use our page speed test to check how well your CSS is optimized as well. Does the CSS delivery of your website need optimizing? Combine your CSS scripts: First, combine all the CSS scripts that you are able to combine into one bigger CSS script. The reason that this is important is that the higher amount of external CSS files your web pages load the slower your web pages can get. This is in part because loading multiple CSS files creates unnecessary additional requests for the browser to handle but even using one external CSS file can be considered bad practice when it comes to page speed. Using an external file to call a CSS script will block the rendering of your web page when it contains CSS rules that are used for the above-the-fold view of a page. Inlining these CSS rules will solve this problem. You should therefore always inline your CSS scripts unless they are larger in size. Compress your new CSS script: After you have combined all your CSS scripts into one bigger script you should compress this script to reduce the amount of data your visitors have to download when loading your web pages. For every extra KB, your visitors have to download your web page loads a little slower. Use the CSS compressor to compress your CSS. Ideally what we would like to do is to inline only that portion of the CSS that is necessary to render the content that the user sees on the first-page load without scrolling down. Much of the CSS for the total webpage will refer to content that the user will only see later such as comments, related posts, the footer, widgets etc. By identifying only those CSS rules that are applicable to what the user initially sees, we can obtain the best of both worlds. When it comes to optimizing web pages for speedy load times, identifying and inlining Above-the-Fold content is the last step of the optimization process as far as deferring content goes. It is a strongly recommended practice in the Google PageSpeed Insights service. As a digital marketer, it’s frustrating when web designers build sites that look beautiful but perform terribly from an SEO perspective or a speed perspective. I remember once having to deliver news to a client who spent one-quarter of a million pounds on a new website, only to have it scrapped because it would have obliterated their digital marketing efforts. This is the most extreme example I’ve ever experienced, but it’s etched a scar that I’ll always remember. Gzip is a method of compressing files (making them smaller) for faster network transfers. It is a file format, Compression allows your web server to provide smaller file sizes which load faster for your website users. Enabling gzip compression is a standard practice. If you are not using it for some reason, your web pages are likely slower than your competitors. Compression is enabled via web server configuration. Redirects are instructions or methods that automatically take visitors of one file to another file or location. They are accomplished in many ways. Each way hurts your page speed. Redirects cause your pages to load slower because it is a waste of time to go to one place just to be redirected to another. As more and more people use mobile, redirects will become more and more of a problem. Any website that has implemented a mobile SEO solution recently should pay close attention to the redirects happening on their pages. Redirects affect mobile users a great deal as they are using less reliable mobile networks than your desktop users. There are many good and legitimate reasons to have redirects but it should be kept in mind that redirects cause significant performance and speed issues. Every single redirect you can remove (or clean up) will make your pages load faster and Speed Up Your Website. If you do not use any redirects, you are serving your content significantly faster. Redirects are likely the one single most time waster in your code especially when you consider mobile networks. They dramatically affect your page speed in a noticeably bad way. HTTP Keep-Alive refers to the message that’s sent between the client machine and the web server asking for permission to download a file. Enabling Keep-Alive allows the client machine to download multiple files without repeatedly asking permission, which helps to save bandwidth. To enable Keep-Alive, simply copy and paste the code below into your .htaccess file. What’s valid for the software on your server, also holds true for WordPress. Each version of the CMS comes with new features, bugfixes and more. They make your website run more efficiently and prevent it from slowing down too much. Keeping your website up to date is not only a speed but also a security issue. With the latest version of WordPress, your themes and plugins, you also make sure all known vulnerabilities are fixed. Nothing will slow you down more than a compromised website. Continuing with the topic of media, videos are also an issue. While WordPress is perfectly capable of hosting and playing videos, doing so is not a good idea. First of all, it costs you bandwidth, which is especially important if you have a limited hosting account. Secondly, it will make your WordPress site considerably larger and thus harder to back up. 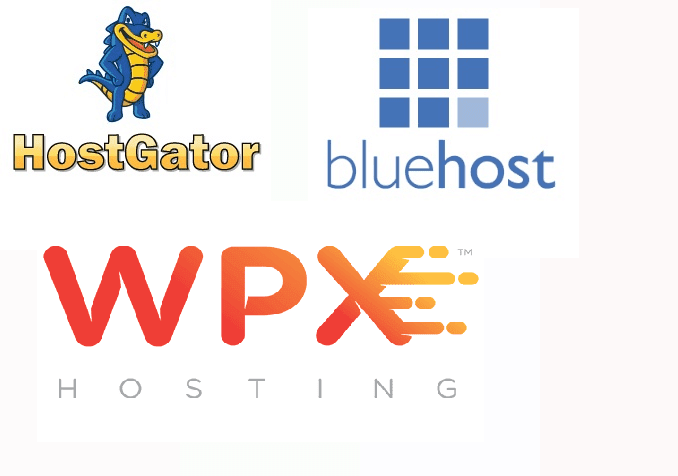 Most importantly – there are loads of super fast video hosting sites that can probably do a much better job than your own server ever could. Plus, with auto embeds, literally, everything you have to do to include videos in your content is to copy the YouTube, Vimeo or DailyMotion link and paste it into the WordPress editor. When you do an analysis of your page speed with Pingdom or any other tool they show you what element on your site took how much time. You can then clearly see that certain HTML codes including your flashy social subscriber’s widgets, CDATA sections, and other java scripts take significant time to load. Sometimes your theme might also contain certain CSS elements that are not really necessary. You should remove all these elements. You can use the plugin called autooptimize in WordPress to compress your CSS and HTML elements. There is an online tool called minifier for non-WordPress users too to Reduce Page Load Time and Speed Up Your Website. Too many ads could slow down your site, therefore, reduce the number of ads on each page. Use async ads when available thus, they will get loaded only after the site loads this may be helpful to Reduce Page Load Time and Speed Up Your Website.